What is music capable of if we are willing to really listen, and if those who make it approach the task at hand with resolve, dedication and with some reverence? Sometimes after a special concert, the best of the best, I think there’s a palpable jubilation felt by the collective listeners. An example: Jan. 31, 2014, inside Abravanel Hall. The opening music was an unexpected triumph, a 1998 suite of five movements by the Chinese born French composer Qigang Chen. It was a fascinating hybrid of Eastern and Western musical traditions that established a series of very focused and intense moods. The piece, titled Wu Xing (The Five Elements: Water, Wood, Fire, Earth, Metal), was orchestrated brilliantly, with extensive and colorful use of percussion. The pace was measured and harmony was lean and expressive throughout most of the piece. The amount of dissonance was expertly managed and very palatable for the conservative listener, but never at the expense of expression. Chen was the final student of the great French master Olivier Messiaen, who was instrumental in bringing Chen’s music to a Western audience. While Chen was clearly influenced by his remarkable teacher, his music has a strong, independent and mature voice. The orchestra, under the baton of Thierry Fischer, achieved a performance that was remarkable in its economy, cohesion and depth of expression. 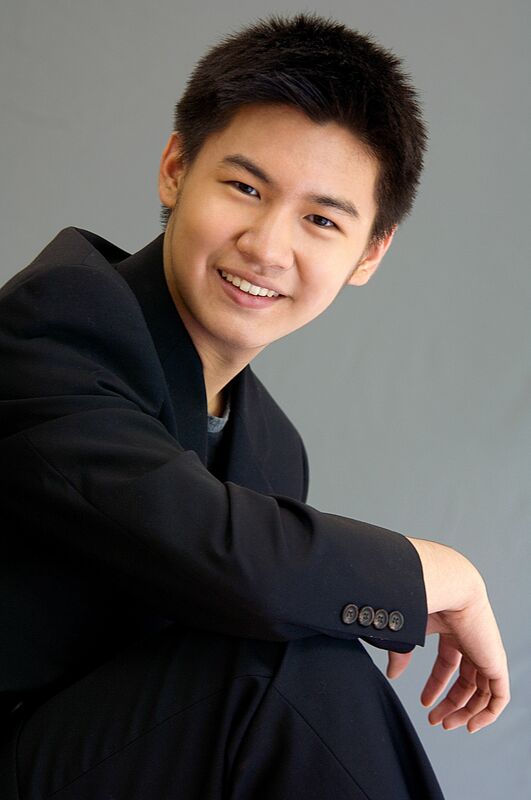 Pianist Conrad Tao then completely mesmerized the audience with his performance of the Third Concerto by Prokofiev. What a performer! The level of precision on display was beyond impressive, and the closing minutes of the third and final movement revealed an energy that was simply exhilarating. Tao’s mastery of technique is only part of the picture, though. His approach to the music itself was dynamic, unusually expressive, and engaging with the technical mastery always serving to aid in the interpretation. Prokofiev was a brilliant writer for the piano, and Tao found some incredible sounds. Like any savvy performer, Tao saved his best stuff for the end, and the audience responded with an uncommon level of enthusiasm. The encore, a prelude by Rachmaninoff, capped off one of the strongest musical stretches I’ve heard in Abravanel Hall. After a passionate reading of Tchaikovsky’s Fourth Symphony, the concert concluded with a touching and personal message to the audience from Fischer. For many years, Fischer performed under the legendary Italian conductor Claudio Abbado, who recently died. Fisher spoke from the heart about his departed colleague, and mentioned that his first visit to our city had been with Abbado. In his honor, the orchestra performed a fitting encore: a movement from Mendelssohn’s Italian Symphony. This concert is not to be missed. The hall was nearly full for Friday’s event, and people will be talking about this performance. Get your tickets now!